Music theory private lessons for all instrumental and voice students. Music theory is a vast subject with as much depth as learning any instrument. There are fundamentals that will benefit all students, but beyond the basics there is a need for individually tailored lesson plans. We offer private music theory lessons designed to help individuals meet their goals. Private instrumental lessons will naturally offer some music theory as it relates to that specific instrument. Lesson books have generally have many of the basic concepts introduced. Students who wish to study composition will benefit greatly from private lessons focusing on music theory. A large part in determining which concepts will be studied is which style of music the student is interested in. Many of our instructors teach theory classes. Contact us today to get lessons set up today! 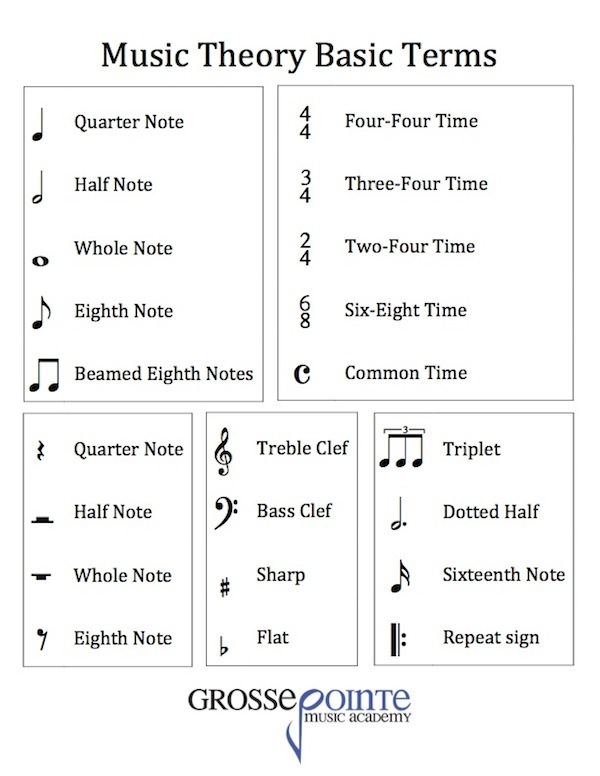 • Basic rudiments, music symbols, and notation. • Fundamentals of scales, chords, intervals, melody, and rhythm. • Harmony writing, texture, timbre, and expression. • Song form, composition, and counterpoint.